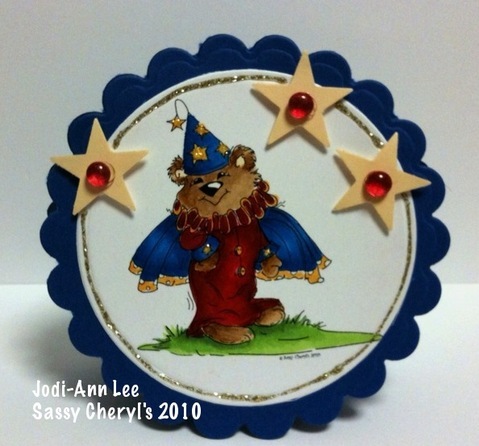 Sassy Cheryl's Digi Stamps Challenge Blog: Challenge 35 - And Lots More! Guess what today is? It's Sassy Cheryl's birthday and we're celebrating (the anniversary of) her 29th birthday! Please join us in wishing Sassy Cheryl a very happy day. Happy Birthday from all of the Sassy gals, Cheryl! We're wishing you the best birthday ever... even if you aren't 29. Now, here's our random winner from last week's challenge. and that is lucky Linda C! Just contact Sassy Cheryl to arrange for your $5 gift certificate. And congrats to you from all of us at Sassy Cheryl's! Enjoy your new images, Linda! Yes, we're looking for a guest designer to join us for a four-week stint. Beginning with this challenge, and continuing through the end of our next challenge, Challenge 36, the design team will select their favorite entry and that lucky person will join us for four weeks of challenges. So get busy, sassy friends and link up your creations for a chance to join us as a guest design team member. The winner will also have this great blinkie to display on their blog. Now, onto this week's challenge. Our Sassy and very talented Lily continues as our challenge hostess and this week she's looking for anything but a square card. 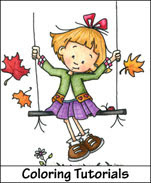 So, grab your coloring supplies and join us in our challenge this week. You may enter once, and of course, you can combine our challenge with other challenges. 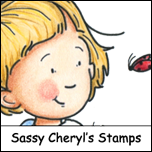 Just make sure that you use a Sassy Cheryl image. Link up your creation using Mr. Linky, and the DT will be by to see your lovely work. See you then, Sassy friends! Amazing creations ladies! And yep, 29 is long gone for me! hee hee. 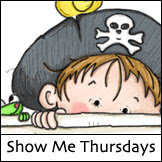 As a gift, I want to see a ton of entries for this guest designer spot! This is so exciting! Oh my gosh, I finally won! Yay, thank you Mister Linky. Oh you Sassy girls have really created some cute cards. This is going to be a fun challenge! Congratulations Linda. . . just sent you an email with your GC instructions! ENJOY! WOW! WOW! WOW! Ladies these cards are stunning. I love each and every one of them. Oh and Happy Birthday Sassy Boss Lady. Congrats Cheryl in your birthday! Your DT ladies makes beautiful cards. Thanks for sharing. An amazing Dt, stunning work. 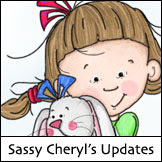 came across sassy cheryl's digis and her blog by mistake...a boy am I happy I did. Bought a number of them and my #2 submission was my first sassy's digi card. thanks for the inspiration! Cheryl, happy birthday to you, many many hugs! Thanks for all the B-day wishes ladies! They are appreciated! You guys are the best! Wishing you a VERY HAPPY BIRTHDAY, Cheryl. All the creations are over the top, per usual. Happy 29th Birthday, Cheryl and many, many more 29th birthdays! Toutes ces cartes sont superbes ! The DT cards are stunning, so much inspiration. oh, I so love all of the wonderful samples from the DT!!! great work! Amazing creations ladies. Can't say enough about how wonderful they are! Great DT samples again this week! Happy belated B-Day, Cheryl! Happy birthday Cheryl. I left 29 in my rear view mirror a while ago! Happy B-lated Birthday Cheryl!! I just had my 29th one myself. LMAO!! I love all the DT cards again this week!!! Thanks for the B-day wishes ladies and for taking part in the challenge this week. Isn't this a fun one!